Chimpanzees at Chimp Haven in Keithville, La. More than 100 chimpanzees that have lived virtually their entire lives in scientific laboratories will be sent to retire at a national sanctuary called Chimp Haven, the National Institutes of Health said Tuesday. “These animals have made important contributions to research to improve human health, but new technologies have reduced the need for their continued use in research,” NIH Director Francis S. Collins said in a statement. The 113 chimps currently live at the New Iberia Research Center at the University of Louisiana at Lafayette, where they’ve been used to research diseases and test and develop medicine. Most of them have never walked on grass or seen the sky without bars. The NIH had previously announced that just 10 chimps from New Iberia would move to Chimp Haven in Keithville, La., with the remaining 103 being sent to Texas Biomedical Research Institute in Texas. But animal rights activists objected. After months of negotiations, the NIH, the Humane Society of the United States and Chimp Haven agreed on the plan announced Tuesday. “This is a ray of light for captive chimpanzees,” Humane Society President Wayne Pacelle said. Dr. Linda Brent, president of Chimp Haven, hailed the plan as the result of unprecedented cooperation. “We look forward to continuing efforts on behalf of additional chimpanzees retired in the future,” Brent said. Chimp Haven currently houses 106 chimps owned by the federal government. Brent said the sanctuary focuses on giving the primates relative freedom and choices they don’t have at a lab. To implement the plan, Chimp Haven must raise $2.3 million to build additional enclosures. The Humane Society has agreed to donate $500,000. The New England Anti-Vivisection Society said it would provide a matching gift of $100,000. The primates will be moved in two phases beginning in January or February. 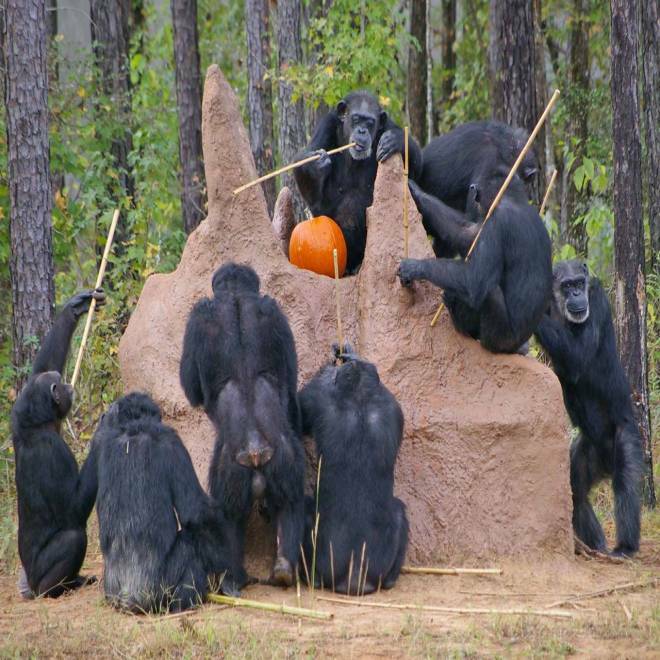 The first group of chimps will fill out existing houses at Chimp Haven. The second group will move when enough money has been raised for construction, which is expected to be finished within 12 to 15 months. The New Iberia primates include eight young chimps that were born in the lab and that will move to the sanctuary with their mothers. Four members of the chimp colony will not move on with the others, however, as veterinarians have determined they are too sick to transfer. They will live out their lives at the New Iberia lab. Dr. John Pippin of Physicians Committee for Responsible Medicine said Chimp Haven is the retirement the chimps deserve. “I look forward to the day when all chimpanzees are made ineligible for experimentation and can spend their days in sanctuaries,” Pippin said. 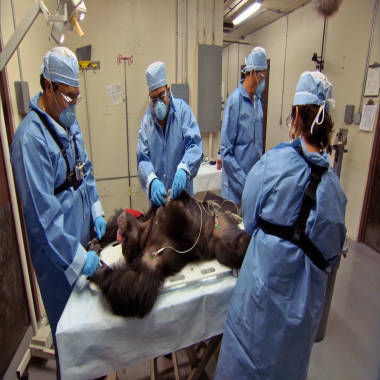 The doctor said he will renew his efforts to retire another 14 chimps that were transferred two years ago to Texas Biomed from a facility in Alamogordo, N.M. They were slated to be used for hepatitis research but they have not yet been used. Pippin said they are old and have medical conditions. “We believe it is clear that they are not needed for research and should be retired,” he said. An NIH advisory committee is now developing recommendations on how to deal with hundreds of other NIH chimpanzees still in labs in light of recent findings that most current invasive research on our closest biological relative is unnecessary. Donations for the construction of retirement housing at Chimp Haven can be made to Chimp Haven, the Humane Society and the Foundation for the National Institutes of Health.